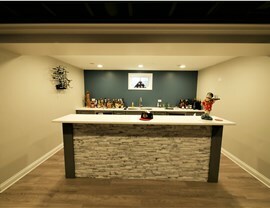 Say goodbye to a boring basement and entertain guests in your very own basement bar. Love being the life of the party but don’t always love going out? 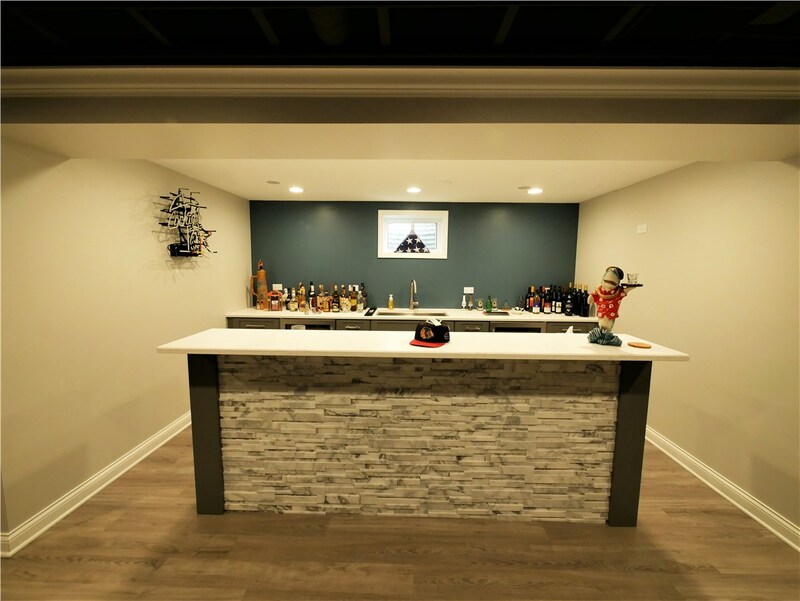 Why not stay in and host your friends and family by choosing the Farmington Hills basement bar experts at Matrix Basement Systems? 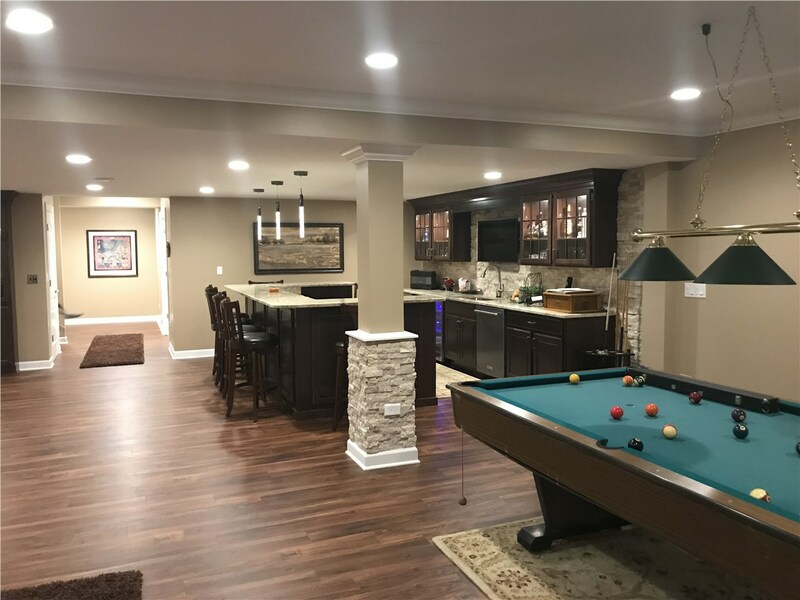 We feature a comprehensive selection of basement remodeling solutions that we’ll tailor to your specific needs for a hassle-free experience. Since 2009, our contractors have successfully completed over 1,300 basement remodeling projects, so we know just what it takes to complete your bar according to your schedule and budget. 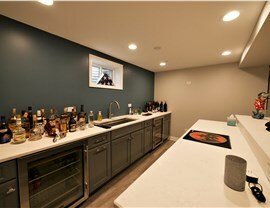 We’ll work with you from start to finish to ensure you end up with the basement bar of your dreams without breaking the bank. 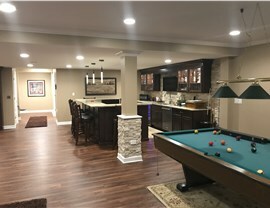 All of our products are crafted using superior materials that are fireproof, waterproof, and mold and mildew resistant, giving us the ability to provide finished basements that provide years of lasting beauty and performance. 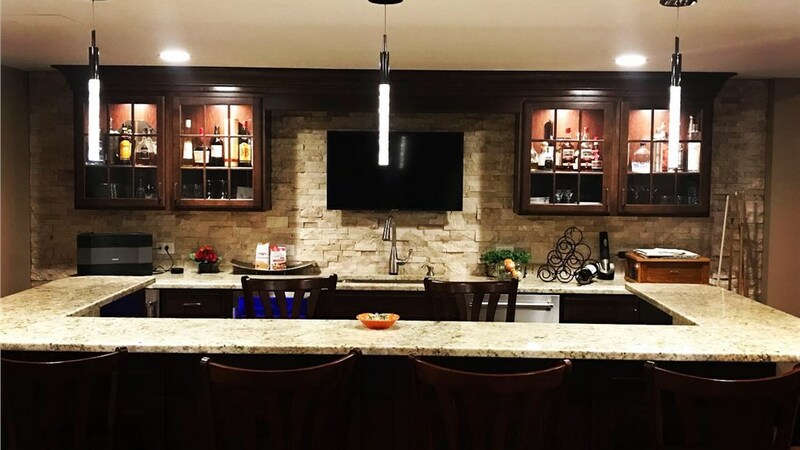 With extended product and labor warranties, you can choose us with peace of mind knowing that your investment is protected. 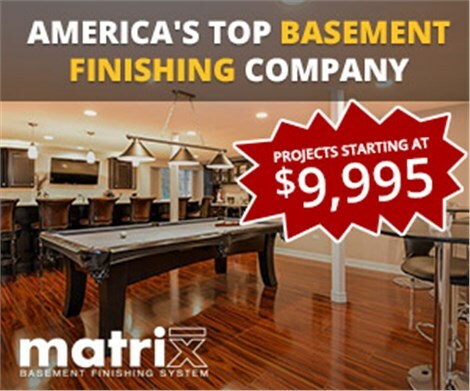 The experienced Michigan basement finishing experts at Matrix Basement Systems would love to help you get your dream basement, so get in touch with us today. 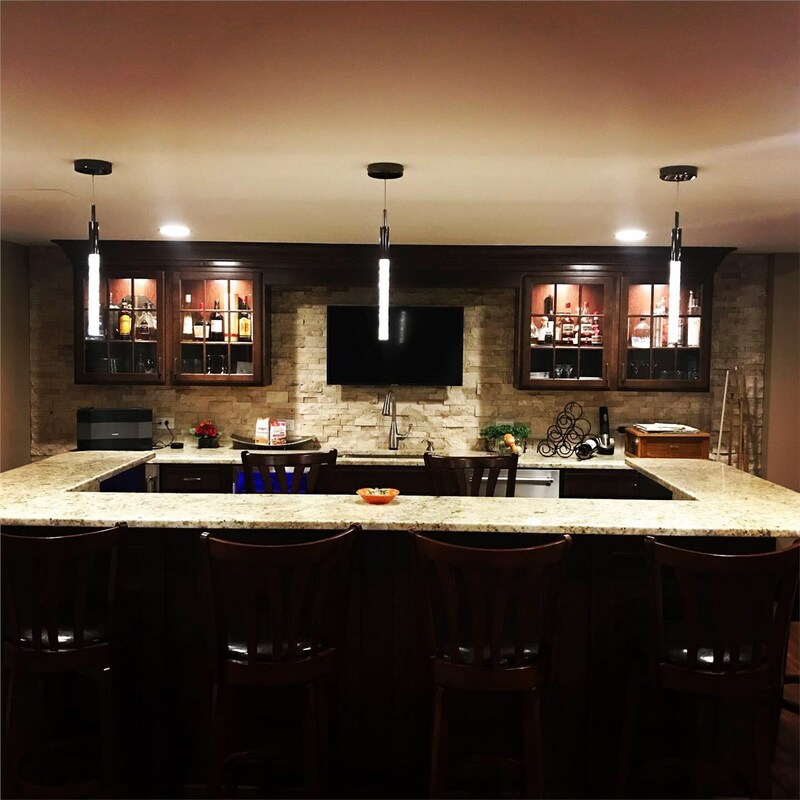 Give us a call to speak with a friendly, knowledgeable representative, or fill out our convenient online quote form to request your no-cost, no-obligation estimate.